1. Cut each sliced cheese into three. Sandwich the cheese with 2 slices of pork for each Tonkatsu and season both sides with salt and pepper. 2. Flour the pork lightly, dip in beaten egg, then coat with Panko. Use one hand for coating flour and Panko, and use the other to dip in egg to keep one of your hands dry. 3. Fry them in oil at 170C (340F) until cooked golden brown. (Turn the pork over to cook evenly.) Remove the Tonkatsu from the oil and drain. 1. 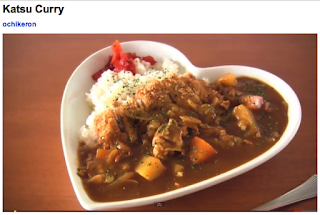 Use House Vermont Curry (medium hot) or you can substitute it with any other Japanese curry roux! 2. Cut thinly sliced pork into bite size pieces. Slice onion. Cut potato and carrot into bite-size pieces. 3. Heat cooking oil in a large stew pot, saute the sliced onion over medium heat until it softens. Then add the pork. 5. Turn off the heat, add House Vermont Curry (medium hot) curry roux, and mix well until completely melted. Then put on the heat and simmer for about 7 minutes until thickened. 6. Cut Tonkatsu into bite size pieces. 7. Serve curry on a hot bed of rice and Tonkatsu pieces, sprinkle parsley flakes, and garnish with Fukujinzuke if desired.